I think Nova Vaasa has a warship that they use to deal with pirates affecting trade going on in the Nocturnal Sea, but not much more than that. 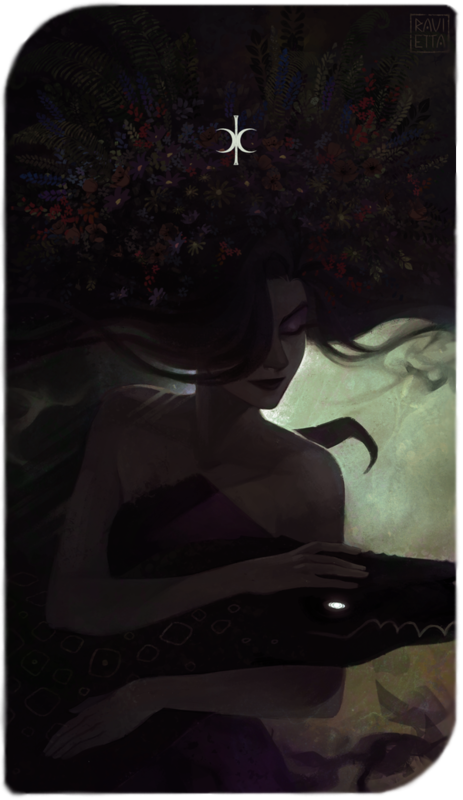 The Nocturnal Sea is probably even more dangerous than the Sea of Sorrows, given you have islands all over the place that you run the risk of running a-ground on. Is there an actual family crest, sigil or flag for the Wachter Family? I do know they use the colours yellow, red and blue, but I can't find out what it would look like. Judging from the guard uniforms the yellow appears to be the primary colour, with dark red for the borders, so I am speculating that blue is used for the details? Either way I haven't found any canon source that reveals what the actual crest looks like, but am I correct in guessing it might be based off of the image below? It is apparently the sort of crest associated with the slavic Wachter noble family surname, according to sources from google. Might just be a strange coincedence. Correct assumption. The Coat of arms is an inspiration, not something in stone. The Blue on that Coat of Arms is out of place. The armors are meant to be more flamboyant than the armors of Vallaki given Krezk's size and added prestige - there is clear influence from Borca given Krezk proximity with the domain. The colors represent those of Strahd's and Wachter. Isn't it to "frillsy" for Barovia anyway? As I said, its not something we are using, its where the inspiration comes from, when it comes to designing the armors. 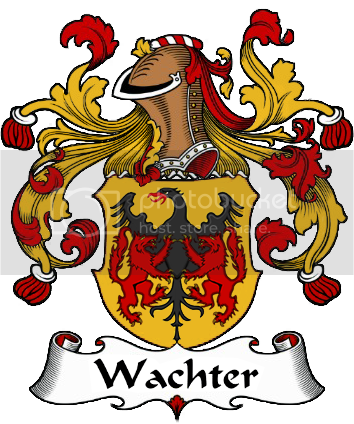 The Wachter don't have a coat of arms of their own, nothing has been made. I assumed it had blue because the yellow letter message when you enter the Wachter outpost gives some kind of description that mentions a red, yellow and blue crest. Might need to update that message and change it to black instead then. 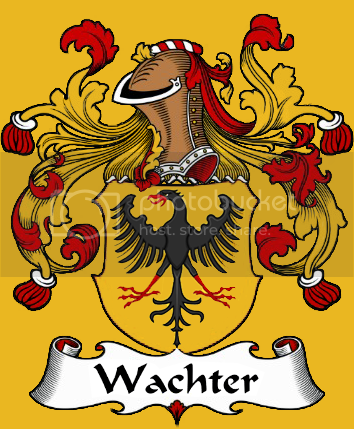 What kind of symbol would be on the crest if it was made though? Guessing a crown would be implemented somewhere, to indicate ties to the Von Zarovich family. To me a tower seems fitting for the Wachter side, but that's mostly because wachter coincedentally translates to guard in dutch. And birds are just neat to have. Thanks for pointing it to me, started devving these areas in 2011. Some stuff, just needs its update. So I thought this was the Barovian flag? Looks legit, pretty sure it features in Domains of Dread. How's this grab you heretic? I'll see what i can do thats a good idea! 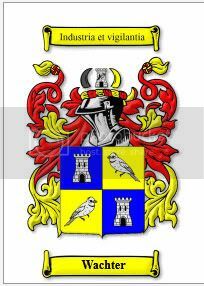 Having a wolf and a raven together might be too similar to the Von Zarovich crest, though. Try the wolf alone, if possible. They look awesome, by the way. Gonna check which area it is & change it. Border Outpost Zeklos, El Tigre. Goddamn mexicans and your hats and style. Nice work. 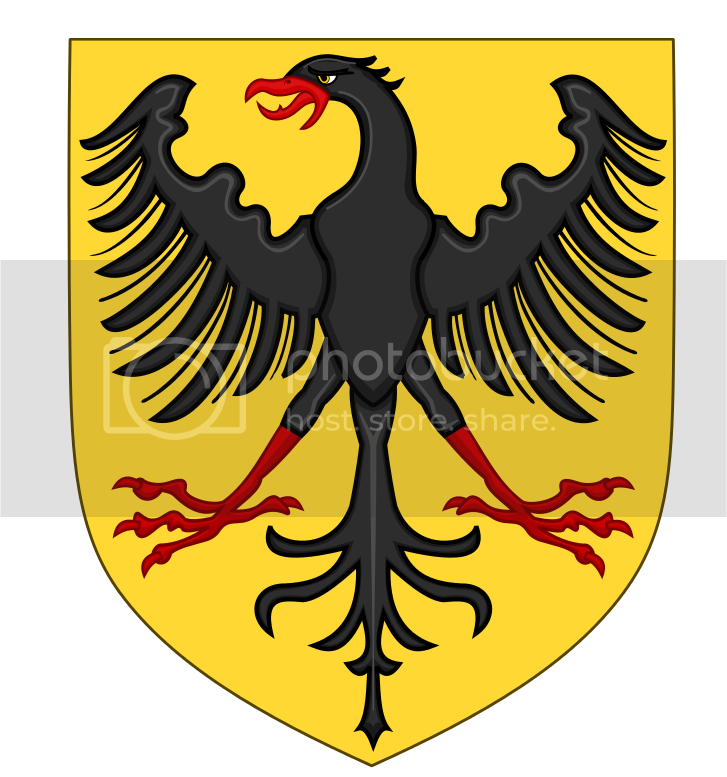 Have you considered giving "Variant 2 w/ Raven" a yellow background with red eyes instead? I think that'd look even better. I like how you didn't just go for pure black to preserve the details, I'd go a little bit darker though as it comes dangerously close to gray. I did like the one with the raven and the red wolves as well, although simplicity for the crest itself and one iconic animal is probably best. Could always invert the grey and the black. Thus the grey would be the detail, black would be the base color.